Here is much to appreciate about art — the technique, the emotions it evokes, the way it captures moments in time, whether true or imagined. But these works can often feel distant, held at arms length in museums and galleries and private collections. 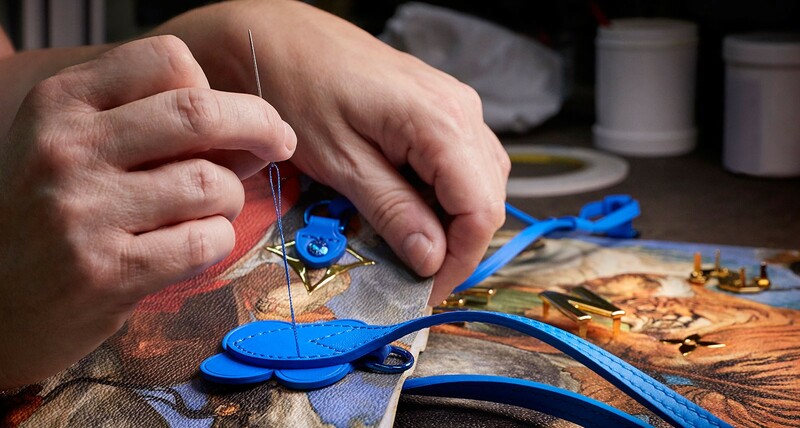 Louis Vuitton has a successful history of working with influential modern artists to transcend this separation, translating their creations into pieces that are living works of art — you can touch them and go about your life with them by your side. The brand’s latest artist collaboration is a big one: Jeff Koons. They have worked with the American artist to bring his “Gazing Ball” series of paintings to a variety of bags, which consists of replicas of classic paintings by Masters like Van Gogh, da Vinci, and Rubens, among others. So in effect, they are now reproductions of reproductions, a somewhat meta— and very Koons-ian — touch. 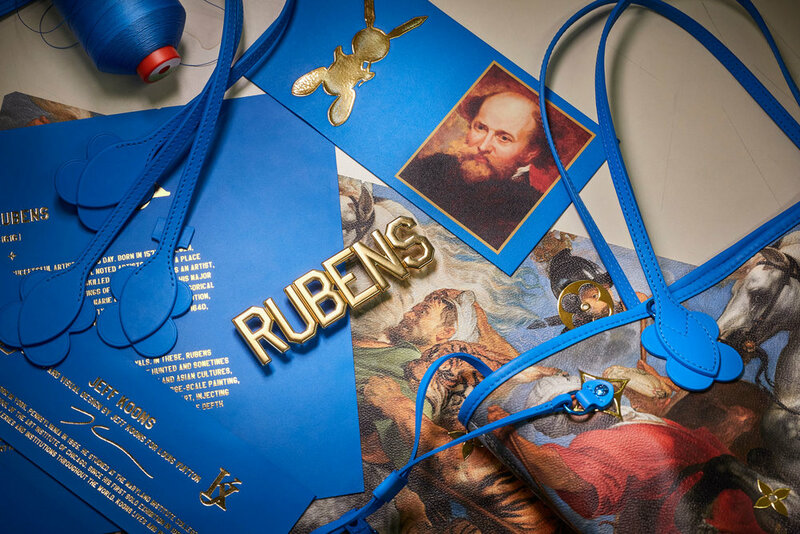 The art is reproduced on canvas and serves as the foundation of the bag, and is then further complimented with some serious hardware — the artists’ names get pride of place in block letters, while the traditional LV monogram and symbols are scattered across the bags, almost at random. 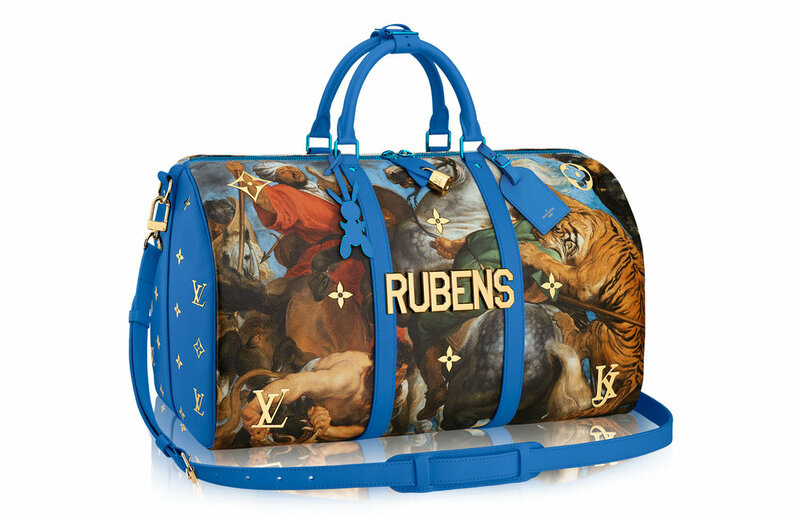 Koons is well-represented as well, having recreated the LV logo in his own initials (the first time the company has let this happen) to be placed on the bag along with a tag in the shape of an inflatable rabbit, another Koons signature. 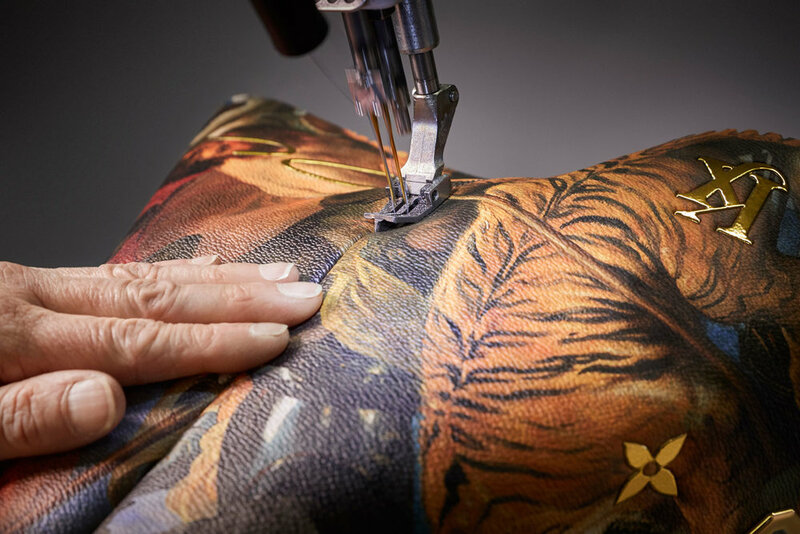 To continue the conversation about the reinterpretation of these classic works, inside each bag you’ll find a biography and a portrait of the Master that inspired each design. Bags that look good, hold a ton, and can teach you a thing or two about Art History? Sign us up.